RSVP is a Bhangra band that blends traditional Punjabi celebratory folk music with Western musical influences to create a unique sound, and their ability to perform to a crowd is perfect. Their stage personalities are lovable, the Asian drumbeats are infectious, and the Western slant gives the crowd something unique to enjoy. With musicians drawn from one family, wholly rooted in an authentic living tradition, yet unafraid to innovate, this is the ultimate celebratory Indian music. 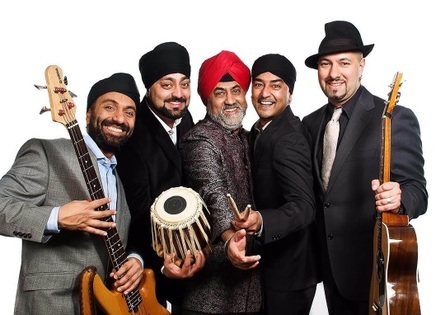 RSVP will be bringing their Big Bhangra Beats and engaging, interactive vibe so be prepared to learn some Bhangra grooves and moves and get ready to party!